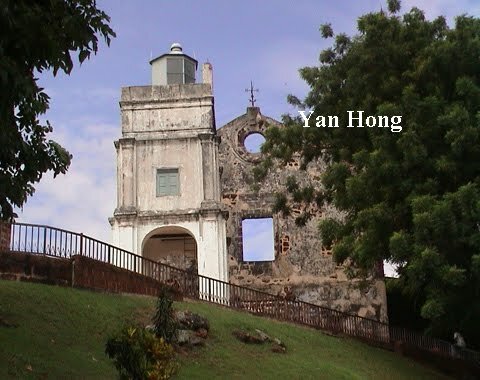 The St. Paul's church is still towering aloft on the St. Paul's Hill for more than 400 years in Malacca. Duarte Coelho built the church in 1521. 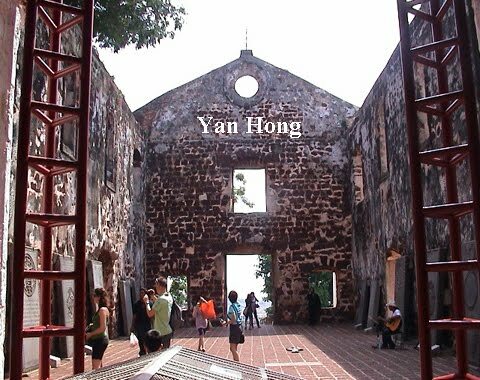 It was originally a small chapel for Catholics in Malacca during 16th century. In 1566, the St. Paul's Church was renovated and turned into a two-storey building. In addition to that, a lighthouse was also constructed in front of the church. The original name of the St. Paul's Church was "Our Lady of The Hill". 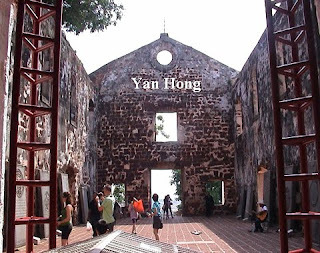 The St. Paul's Church was used as temporary place of worship for Christians in Malacca during the occupation of the Dutch. It was renamed as "St. Paul's Church" by the Dutch. The St. Paul's Church was abandoned when the construction of the Christ Church completed in 1753. 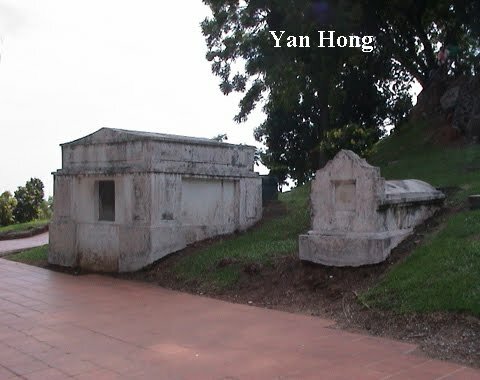 It was later transformed into a graveyard by the Dutch for their noble dead. With the relentless passage of time and the cruel ravages of war, the St. Paul's Church is almost nothing left. Fortunately, the mottled red stone walls of the church are still standing erect. Otherwise it would be another sad story same as the demolition of the ancient city wall by the British. 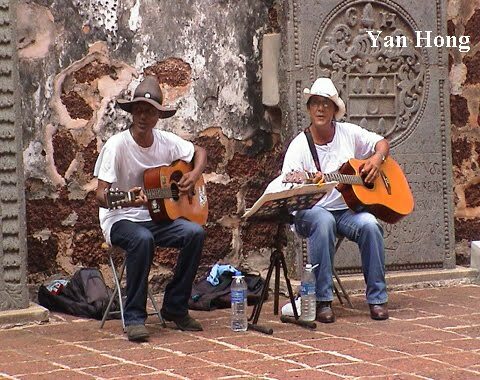 There were two Malacca singers sing joyfully for the guests from around the world. 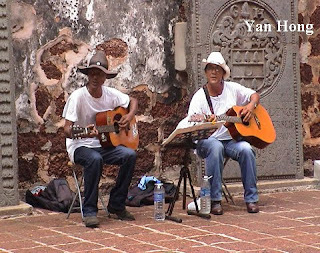 They welcomed the visitors of the St. Paul's Church with their tuneful and delightful vocal. The above photo is a stone steps leading to the St. Paul's Church. 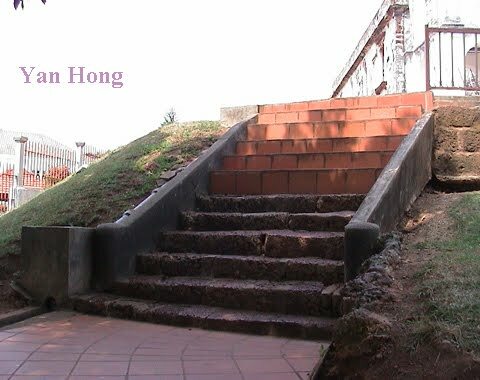 The upper part was covered with modern ceramic tiles but the bottom part remained unchanged. It's no longer the authentic historical site. This was another great project of the 1Malaysia advocated by Prime Minister Datuk Seri Najib.